When it comes to exciting Euroleague tips, games where there is something tangible at stake can make all the difference. 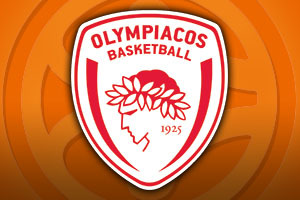 Olympiacos know that a win will clinch their playoff spot, so they are going all out for victory in Spain. Of course, if Turkish side Anadolu slip up on Thursday night, the Greek side will be guaranteed to progress, so this one may not be as pressurised as it could be. Laboral Kutxa have a 9-11 record in the Euroleague this season, with a 5-5 record in the regular season and a 4-6 record in the Top 16. The Spanish side face a tough tie at home as they take on Olympiacos who hold a 16-4 record in the Euroleague. The Greek side’s record consists of an 8-2 record in the regular season and they also currently hold an 8-2 record in the Top 16. With respect to average points scored per game, Laboral have grabbed an average of 81.1 while Olympiacos have scored an average of 75.9 points per game, which is a reminder that a good defence is as important as a strong offence for winning basketball games. Davis Bertans has been an integral player for Laboral this season and his average of 11.4 points per game this campaign has been one of the highlights of the campaign. Colton Iverson has also been in excellent form for the Spanish side and he has offered up an average of 6.1 rebounds per game this season while Fabien Causeur has pitched in with an average of 2.3 assists per game for the Spanish side. There is a slight injury concern over Vassilis Spanoulis, which would be a big blow for the Greek side. The former Euroleague MVP is integral to the team and he has an average of 15.5 points per game this season for Olympiacos. He has also offered up an average of 5.9 assists per game this season so if he is missing, his presence will be sorely missed for a team who is looking to book their place in the playoffs. He has been ably assisted by Bryant Dunston, who has offered up an average of 5.4 rebounds per game this season. Laboral are in 8th place in the Spanish league with a 13-11 record, a record they share with Valencia and Zaragoza. The most recent domestic game for Laboral was an 87-68 home win over FIATC Joventut. In Greece, Olympiacos are at the top of the table with an 18-1 record and they defeated PAOK 72-88 in their most recent domestic game. This has the hallmarks of being a tight game but given that Olympiacos know that they have a shot of clinching qualification to the playoffs in this game, you have to think that they are worth backing. Taking Olympiacos with a -2 handicap, at odds of 1.90, is likely to be a sound bet on Friday night. When it comes to the Over/Under market, you will find that going UNDER 154.5 at odds of 1.90 is a decent bet. 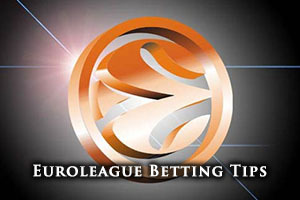 You will find these bets, and a whole lot more Euroleague basketball betting opportunities, available at Bet365. Bet Now!